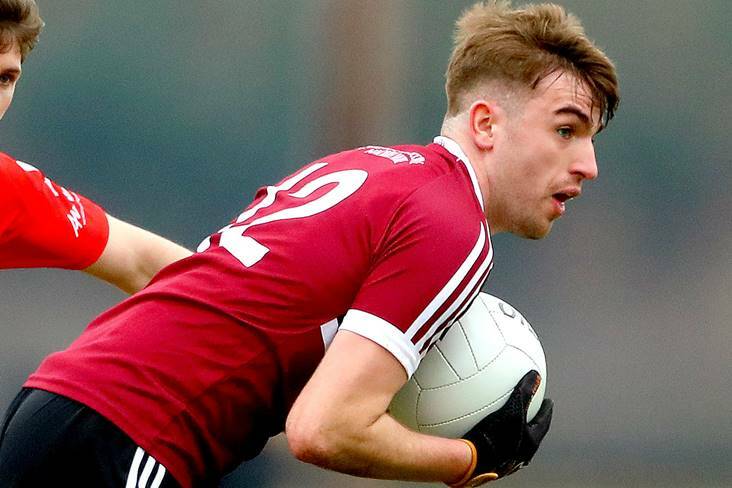 This year’s Sigerson Cup competition got underway at Dangan today and there was drama aplenty as St Mary’s University College, Belfast edged out NUIG in a free-kick competition. Normal time and extra-time failed to produce a winner and the Ranch subsequently won on free kicks by 4-2. The teams finished level on 1-8 and 1-11 apiece at the end of normal time and extra-time respectively. Daniel McKinless sent over an equalising point in normal time for St Mary’s while Stephen McConville did likewise at the end of extra-time. Liam Rafferty sealed the win for Gavin McGilly’s charges when converting their fourth free in the shoot-out. St Mary’s University College, Belfast - M Reid; C McKinney, R McCusker, M Rooney (0-1); C Byrne, A Boyle (1-0pen), L Rafferty (0-3); J Og Burns (0-1), L Devlin; R McSherry, S McGuigan (0-2, 1f), S McConville (0-3f); N Toner, R Coleman, A Duffy. Subs: D McKinless (0-1) for L Devlin, J Hannigan for A Duffy, T O’Kane for C Byrne, L Devlin for T O’Kane, C McAllister for M Rooney, T O’Kane for J Hannigan. NUIG - A Brady; S Brennan, S Mulkerrin, K McDonnell (0-2); K Molloy (0-1), R Greene, P O’Donnell; P Cooke, C Darcy; N Mullen (1-0), M Daly (0-1f), E Tierney (0-2, 1f); R Finnerty (0-3f), J Robinson (0-2, 1f), O Gallagher. Subs: B Donovan for O Gallagher, C Marren for C Darcy, G Canavan for R Finnerty, J Maher for S Brennan, K Quinn for J Robinson (BC), E McGrath for M Daly (BC).